I got locked out of my own snapchat account. Why? I’m going to tell you a straight up answer just not to put you into a massive boredom. I got locked out of my own snapchat account because I bought this application from app store called snap upload. Snap upload is supposedly a good application for people like me who is into social media (of course excluding the fact of being locked out of your account). It will allow you to upload photos & vide os straight up from you camera roll, which of course snap chat doesn’t allow you to do so. However, you should be aware by now that these certain activity is currently unauthorized by snapchat developers. You might be able to download it for free which I also did in the first place but I decided to purchase the full version. You see, the free download that you can get will only give you 50 coins as initial credits, believe me, you wouldn’t want to know how much ads you had to watch to increase your coin counts.. One upload, one coin. Eventually it was only in the later part of enjoying the app did the disappointment hit me. I got locked out of my snapchat account due to the fact that I did not even bother to check if this particular app is even authorized to be used for snap accounts. Actually, so far nothing is confirmed to have the authorization from snapchat to do these sort of uploading. So I would suggest for you to forget about these kind of “third-party-apps”. Unless of course announced by the developer of snapchat. Hope you won’t make the same purchase and mistake I have done with this 3rd-party app. It’s not enough that you put your company profile on linkedin or create a page on facebook. Setting-up your twitter, instagram or youtube account is just a tiny slice of your beginning. Yes, everybody can do social media as it is. Probably most of us understand how it works. Most often than not, would only be according to ones own experience. 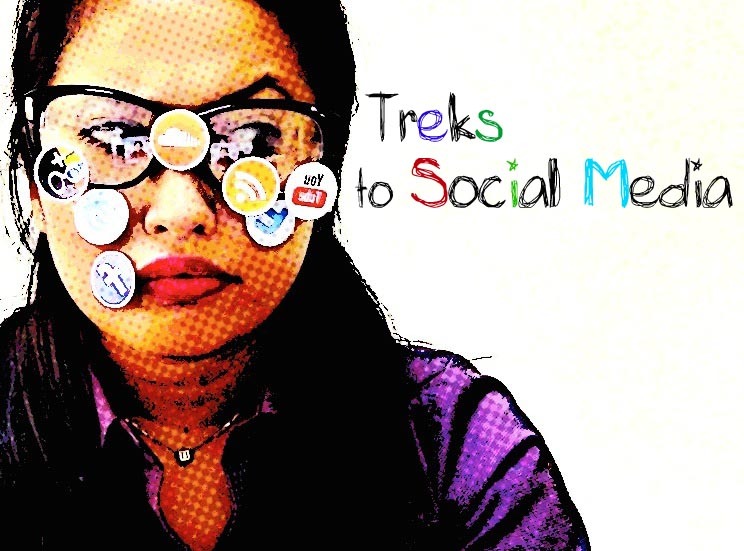 Common misconception about working on social media is that it is purely fun and easy. That you can sit and relax at the office and just make your brain work on what to post next. Let me speak on behalf of other social media practitioner. Yes, social media (i.e facebook, twitter, pinterest, instagram, youtube, google_ linkedin etc) may sound so easy to handle, but it’s not, at least on business perspective. It isn’t taught in universities, where you can get a degree on. Yet, there’s way more things you have to learn in doing it, and when I say “doing it”, I mean doing it effectively. Dealing with your company’s social media is way harder than you think, because there’s more to it than just having online presence to support your website. Means, you being present on the online universe, but not in all social media channels. It’s not a requirement for you to have a profile in all social media channel you may know of. Decide, study and analyze which one of these could help you reach your market. Is time consuming at least during the time that you’re venturing to this kind of universe. Simple as it may look like, to tell you the truth, it’s not. You have to constantly be active on it. In all necessary platforms. Your target market has to have that constant reminder to be much more aware as to who you are, what you do, what you have and where you are. Requires constant creativity. Yup, 5 o’clock, time to drive home. Nope, it does not end there. While it is clear that you have to be selling yourself (as a company) to the market, keep in mind that it’s not just through marketing yourself that matters to public. It’s how you cater to their interest, that would mean you, having humor or simply a “good morning” messages and so. Not only bo be remembered by what you offer but be remembered by your humor, inspiration and just by being human. Not just about selling, creativity and humour. You have to have that kind of presence online that can also provide customer service. These days, it’s not just the call center hotline that they try to raise their issues. Most of the time, they consider reaching out a company through facebook page or twitter. Of course, they would also expect a response from you addressing their concern. You wouldn’t want to upset them by having to post promotional stuff while they haven’t got any response from you regarding their complain. That would only give you a negative image. Requires endless learning. Just like any other professions out there, dealing with social media would mean, you as a practitioner, to learn new things. Things that would allow you to execute your ideas efficiently and effectively. Trust me, the list is endless considering the culture of your target market and “the do’s and don’ts” and as I have said, the list goes on. What I am about to say in this article are not and will not be pertaining to a particular group of people, nor a certain age group and so on. 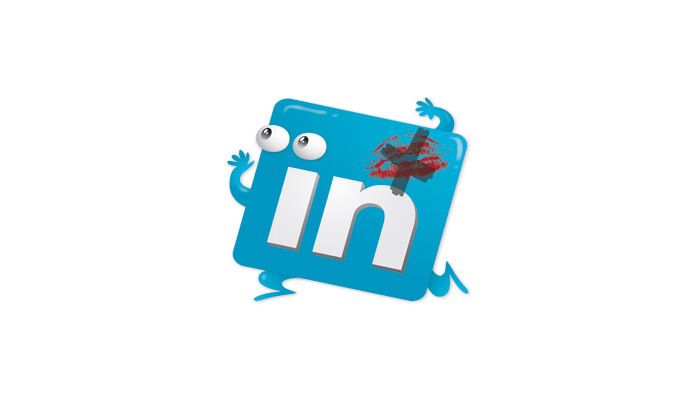 Probably, more than 50% of people who are using professional social media platform such as linkedin are are misusing it. They either do not know it’s sole purpose or they just don’t care / bother to know at all. To some, social media will be social media. That whatever it is, it is bound to socialize with others over the cyber space. Yes, this is undeniably correct. BUT! Needless to say, they all have their specific purpose that they cater to. How many times have you encountered a personal message asking for your number or to meet up without informing you their purpose? You know what I mean so I wouldn’t elaborate on that. Now, I’m not saying I get that all the time, but every single time I get these kind of message, it does annoy me. Why? I tend to use professional platforms such as this exactly how it should be used. I do not mingle nor exchange messages unless it has a PROFESSIONAL manner, purpose and approach. As per the reply perspective, you only have two options. One is to ignore unwanted messages or two, well you can just respond in a respective & diplomatic way. Social media career / job (as what others will call it) is more than just being online most of time. Nor is it about just having access to internet 24/7. Most of the people say that now-a-days, as the online media/marketing is vastly growing, everybody or anybody who is very much active in using social media platforms can do an effective social media. That anybody can be assigned into taking control of your company’s profile. Obviously, people who are thinking this way have very less understanding on the topic, better yet on the career itself. Despite the pressure and tension especially if there are issues that are being watched after, it is fun and exciting. When posting something on a page / profile, we sometimes forget to double check for so many reasons, but as much as possible avoid MISTAKES and avoid editing errors after they have been posted. Audience can still see your edit history. Being in social media requires endless contents. So there you go, these are the few that I was able to write, although my list does not just end there. I’d be adding some things from time to time. I am not a social media guru. I’m just trying my very best to be a responsible social media practitioner that I am. Hope this somehow helps you out. Been a while since I last created an entry in my blog. Not because I became less interested in writing or sharing my thoughts, because really, it’s not only my blog that suffered but all my social media accounts. Why did this happen? Well it’s simple, I’ve been working a lot the past days, weeks and months. I mean literally in new projects which I enjoy waaaaaay too much. But then, despite enjoying the all of that I do encounter some problems from time to time. From lack of sleep, lack of memory and lack of time. There are times where I prefer working in an organized way and times where I prefer to work in a messy way and just being all around cause sometimes it does allow me to explore ideas more. But then each day I struggle in dealing with the fact that I forget things, I have some delayed stuff and even unfinished tasks. You see I recently shifted from Windows to Mac and everyone who did the same can agree that it’s really a big shift with almost everything and it does take some patience. Okay, so upon shifting I did struggle even more with organizing my stuff and tasks and I spent months and months trying to search for something, anything, that could at least help me sort out my life in that aspect. Then I bump into this software which is called Blotter, which I immediately searched for details. 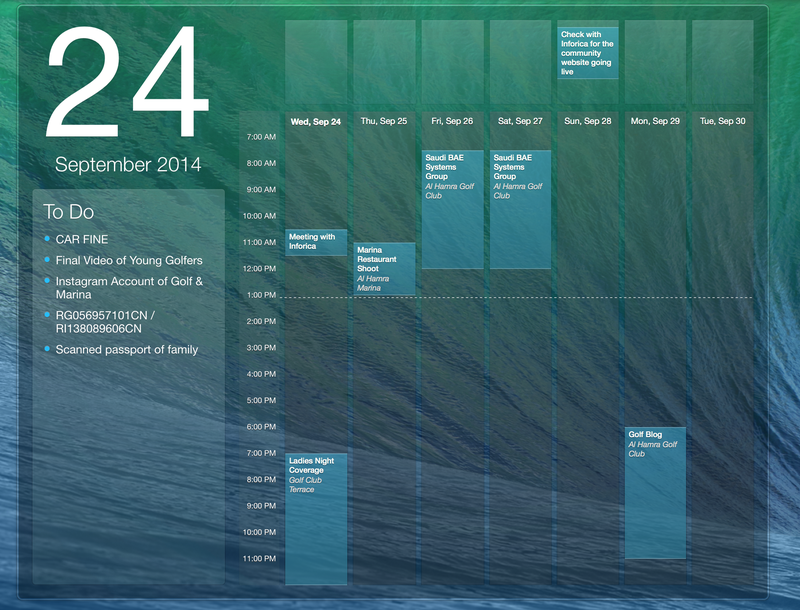 When I first saw that images of how it looks on your desktop, I was “wowed”. Cause it’s exactly what I was looking for, something that will constantly be on my exact desktop with all the things I need to comply with on a day-to-day basis. Of course it depends on your preferred settings but I want to have always open to avoid forgetting things. But the good stuff doesn’t end there. Since I have iPhone and iPad everything that is within my list from the desktop appears on both device in iCal and Reminders. Plus you get to customize the shortcuts you’ll be needing to input your stuff in there. So I purchased it in UAE for a price of AED 36.99, and I do think it’s worth it. I hope this can help you guys who are also looking for stuff to sort things out everyday.